This year's Century Tuna Superbods is bigger, sexier and hotter than ever! It takes on an intriguing twist as John Lloyd is tapped to inspire loyal customers to join in Century Tuna Superbods SuperChallenge. 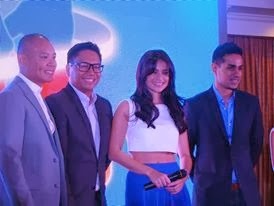 Aside from John Lloyd and Anne, members of the Boys Night Out DJs Slick Rick, Tony Toni, and Sam YG were launched as this year’s celebrity challengers. They will undergo the six-week challenge found in the website, which features a daily workout program and a systematized meal plan featuring the Century Tuna Flakes in Oil. The BNO DJs, John Lloyd and Anne, will head off to Boracay for all the fun activities leading to the finals of the Century Tuna Superbods SuperChallenge 2014 after the challenge in time for the Century Tuna Superbods SuperChallenge. The Century Tuna Superbods SuperChallenge is a competition for males and females between 18 to 35 years old with a healthy body and passion for an active lifestyle. Now on its fifth season, the Century Tuna Superbods will hold go-sees in Luzon, Visayas, and Mindanao! Interested parties should visit SM City Davao Annex Activity Center on March 2; SM City Iloilo Activity Center on March 9; and SM Mall of Asia Music Hall on March 16.